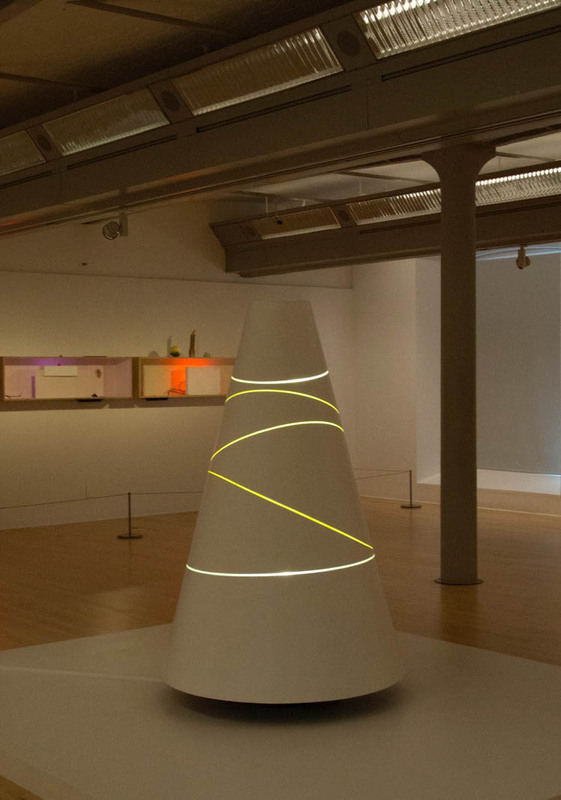 Perspex, fibreglass, turntable, fluorescent light; kinetic. 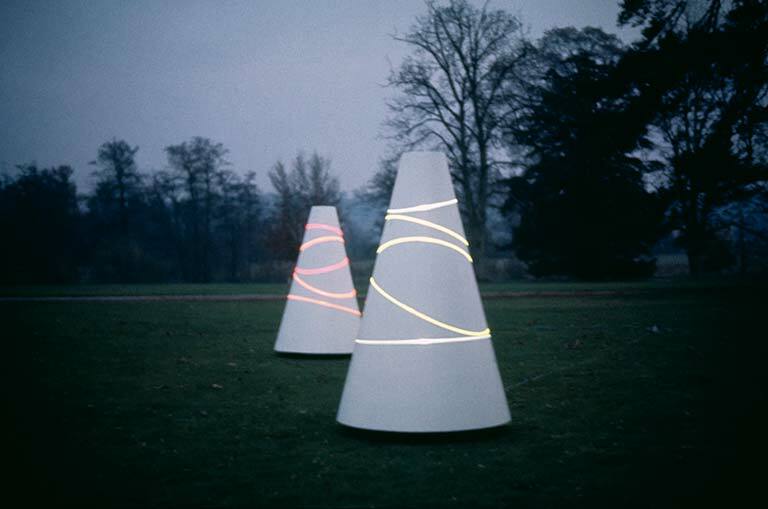 Belonging to a series of conical sculptures Lijn started in 1965, Space Displace Koan is layered with elliptical coloured sections lit from inside. 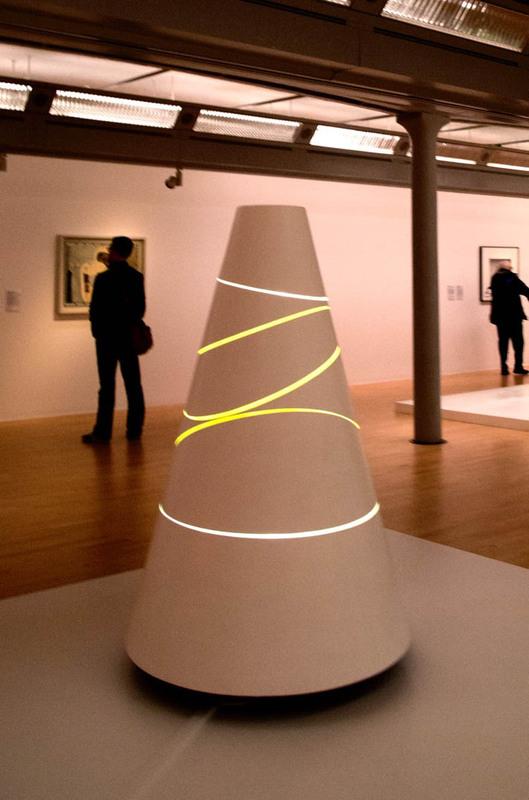 The cone spins slowly at a constant speed; so that the viewer’s eye focuses on the lines, which in turn appear to dissolve the volume of the sculpture. It is as if the lines move through the volume, whereas in fact the volume is spinning as a whole.